After that amazing twitter taste off from the Drink Local Wine conference yesterday, where comments and pictures kept popping up on twitterific, I thought I need to pay more attention to what is happening in our own backyard here in Maryland. We had pretty much abandoned Maryland until Black Ankle came along and reignited our interest. Today we went off on the first of many day trips to see what has popped up around the area. 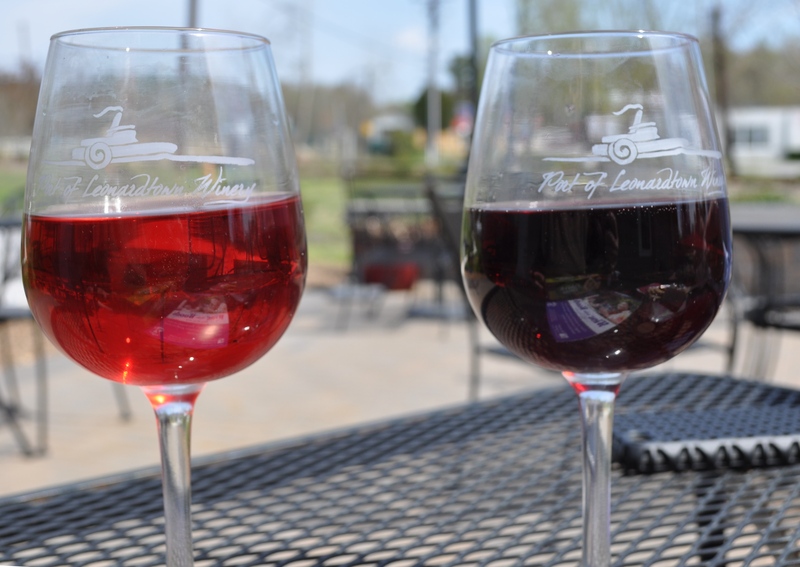 I love Chambourcin done right, and all comments told us to try Port of Leonardtown. To make this a multi-leveled event, this week for my eat local challenge we had a theme “WAY OUT THERE”. So, why not a drink local post instead of eating locally. 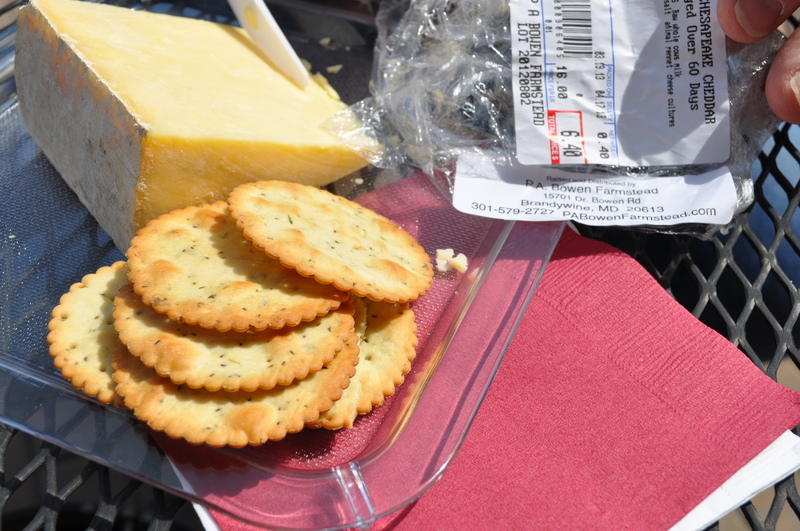 We paired local cheese from Brandywine MD with local chambourcin to have lunch outside the winery. We now need another road trip to check out the farmstead where this cheese originated. It was excellent as were the dry chambourcin rose and the chambourcin. We brought home some of these lovely wines to enjoy this spring and summer. And, yes, there will be a taste off between this late harvest vidal and one of our bottles from Linden VA. MD vs VA. Let the rivalry keep all our winemakers on their game to continue to produce beautiful wines. 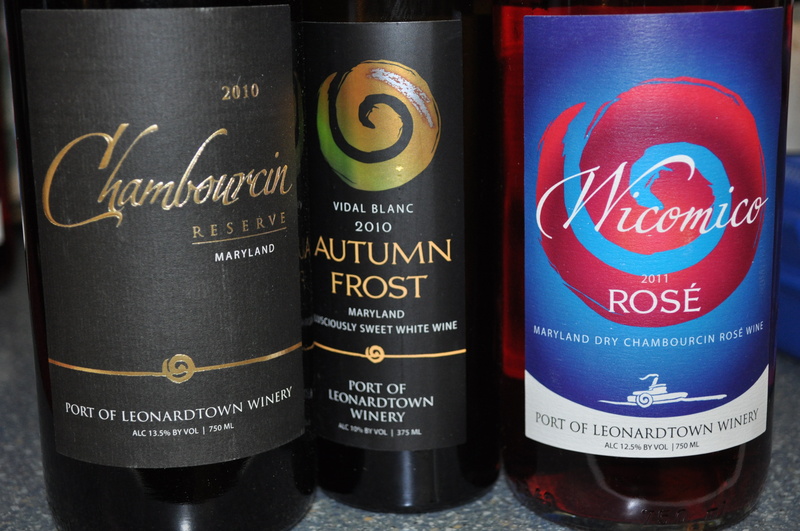 Glad that the Drink Local Wine conference in Maryland showed us that MD is up and coming as a wine region. Being a locapour and a locavore is not a bad thing. Besides, Wine in the Woods and Wine in the Garden should keep us busy next month. Been to any good local wineries lately? If not, you should! Posted in Day Trips, Food, Locavore, Sixty@Sixty, Wine, Winter Eat Local and tagged day trips, howard county conservancy, Locavore, weather, wine. Bookmark the permalink. Thank you for discovering our corner of “way out there!” I’m so glad you found several of our wines —both dry and sweet— that you enjoyed. Please be sure to visit again! I’ll be pouring at Wine in the Woods, be sure to stop by!